KAMPALA – The Ministry of Internal Affairs revealed that as Uganda prepares to make own passports, citizens with valid national identity cards will no longer require recommendation from local authorities to process passports. This was after the passports body successfully integrated the national ID database overseen by the National Identification Registration Authority (NIRA) with the registry managed by the internal affairs ministry. The new arrangement; according to Benon Mutambi, the ministry’s permanent secretary is expected to start early next year. “When you come to apply for a passport, we will retrieve your data from NIRA,” Mutambi said adding that there will be no need for one to obtain signatures from Local Council chairpersons for endorsing. Passport applicants will instead fill in a shorter application form at the Directorate of Citizenship and Immigration Control head offices or submit their details online. 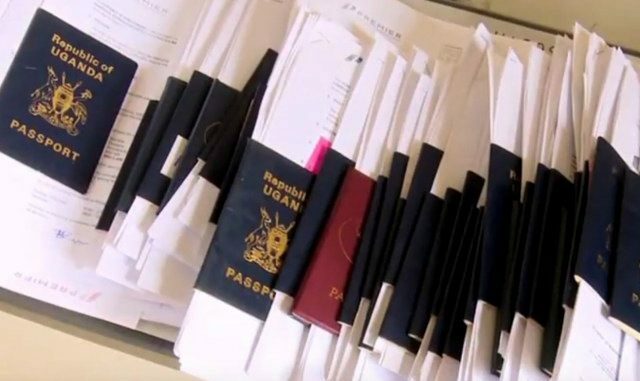 Mutambi said the system was part of reforms to improve efficiency in the processing of government documents including passports and minimize fraud by limiting human interaction. The national ID data is considered more comprehensive in terms of the information it carries about the holder. The system has already been put into practice by other entities such as telecom service providers. The traditional procedure for acquiring a passport starts with obtaining two forms (A and B) online or from the nearest Immigration Office.